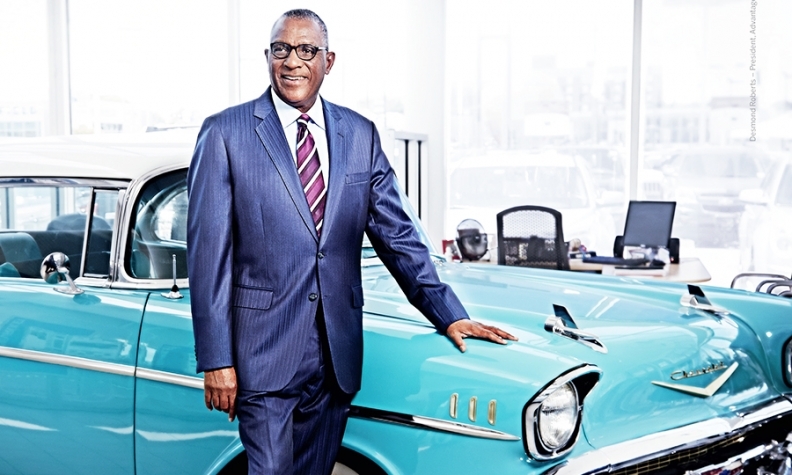 Desmond Roberts, president of Advantage Chevrolet in Hodgkins, Ill., is featured in the campaign. Ally Financial is touting the camaraderie it has with dealerships in a new ad campaign that puts an emphasis on storytelling. The stories include a look at an Ally account executive in Alaska who ended up on a snowmobile ride through the wilderness with a dealer during a business meeting. Another story spotlights two Ally account executives that bring homemade food to dealerships “to make their dealers’ days a little brighter,” the company said. The business-to-business campaign, titled “Driven by What We Love,” seeks to convey the passion Ally Financial brings to the business, said Andrea Riley, Ally Auto’s chief marketing officer. The marketing push launched Monday with a montage video that features everything from baking and snowmobiling to classic cars. Riley said she expects at least 15 videos to hit the Web this year. Ally is using online and print content to spread the message. Dealers can see the videos as they’re posted on Ally’s dealer portal. In addition, Ally will run banner ads on websites where dealers consume B2B media. Ally teased the campaign on its Twitter account last week with two teaser videos. There is also a landing page with content at www.ally.com/learn/driven/ourstory. Riley said the campaign is an evolution of Ally’s marketing approach over the last five years. “We started off by establishing the fact that we are a market-driven competitor and then really rooting ourselves in the fact that we are the dealer’s ally. What this campaign has done is taken that a step further and really honed in on the idea that we are ‘Driven by What We Love,’” Riley said.